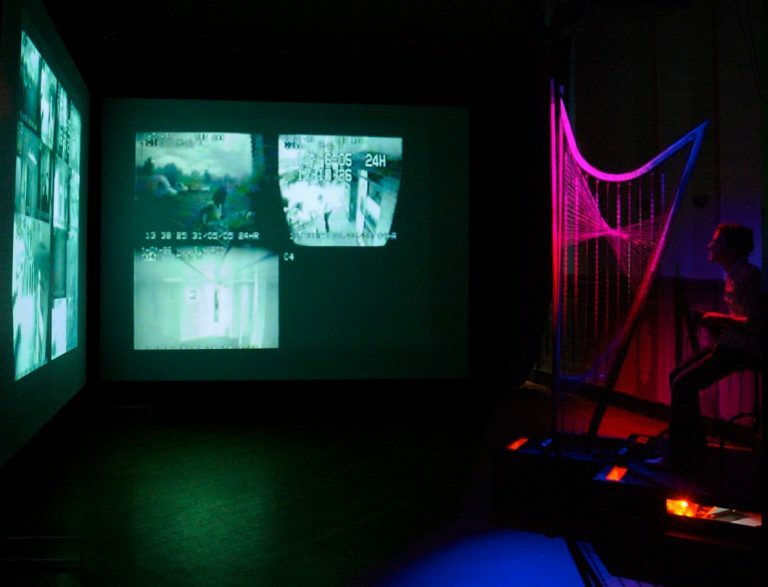 The Orchestra of Anxiety is a collection of instruments that deploy security and surveillance technologies in unusual and playful contexts, prompting visitors to reflect on their personal sense of security and their relationship with public fears (of petty crime, terrorism, etc.). 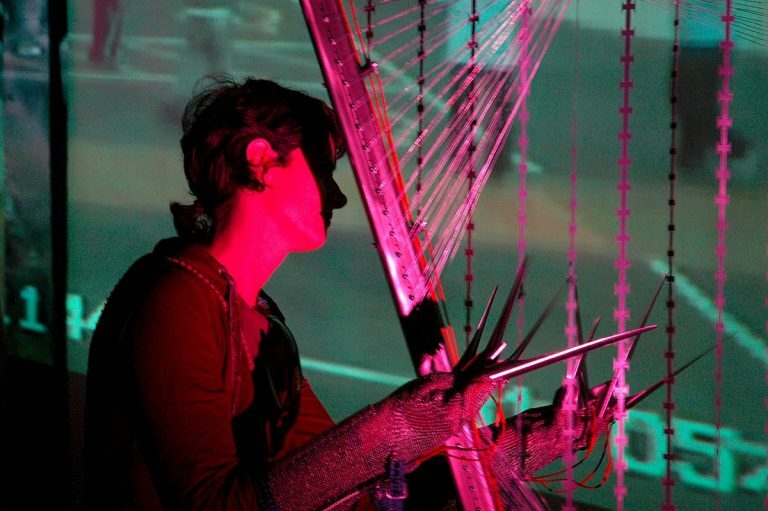 The first instrument to be built is a steel harp with strings of razor wire, which requires the harpist to wear protective gauntlets to play it. Gallery visitors are invited to play the harp after donning protective chain mail gauntlets. 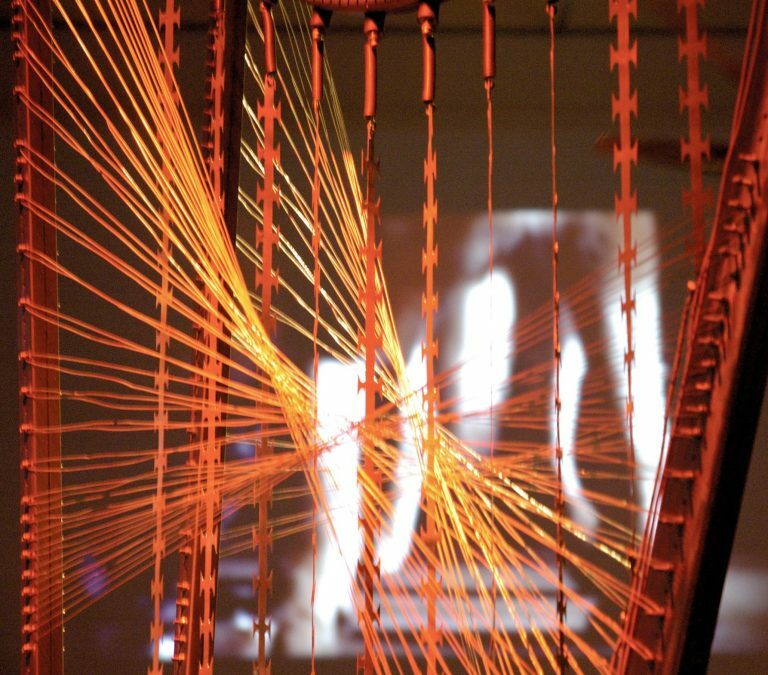 The razor wire ‘strings’ trigger multiple projections and sound sources. A pedal enables the harpist to loop phrases for accompaniment. The installation has a game-like grammar that can be learned over a few minutes. 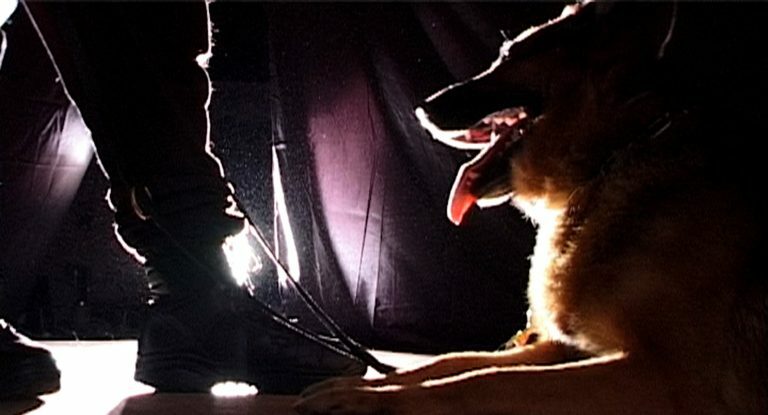 Initially, a filmed guard dog patrols the walls of the installation space. Touching strings at random triggers a ferocious attack. More musical playing calms the dog and makes him sing. Once the harpist has calmed the guard dog, the installation switches to a second theme: CCTV. The object is to search the initially vacant housing estate grounds for children, and then to make them dance. In mythology, the harp is regarded as a sacred or metaphysical instrument and is associated with tranquility, love, and goodness around the world. A Biblical story tells of how David exorcised Saul’s bad spirit by playing a harp. 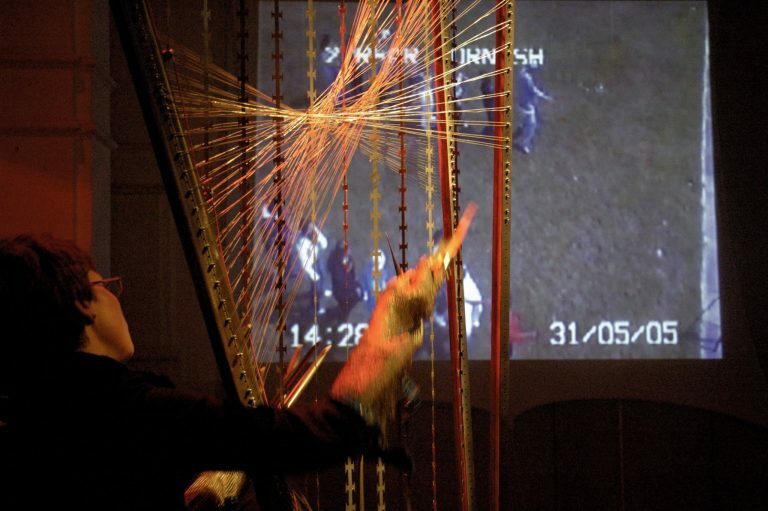 The razor wire harp has similar powers to drive out evil and madness, but the harpist must first overcome the anxiety that the instrument provokes.